Libra College of Law is one of the best institutes in the law industry to study law. It has excellent faculty members who contribute to the success and achievements of the college and the students by working with dedication and loyalty. The college makes use of the best techniques of educating the students to help them mould their career in a better shape and enjoy the taste of success. They are given classes on maintaining their ethics and morals while working at their workplace. The infrastructure has wide options for the students in terms of academics. Here the students are helped to maintainn a healthy diversity while studying under one roof. Guest lectures and extra classes are also arranged in the campus. In short, future loyal lawyers are nurtured in the institute. Why to join Libra College of Law, Dehradun, Uttarakhand? 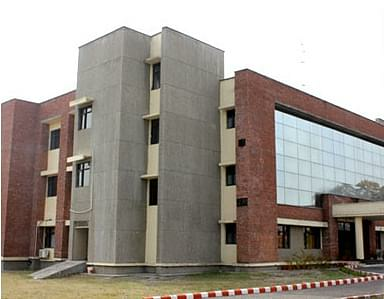 Facilities: The infrastructure of the college offers a wide variety of facilities to the students for academics as well as for sports and other co-curricular activities. The institute has a vast voluminous library, Facilities related for sports, adventure tours like trekking, rock climbing, water rafting, etc. The institute also promotes anti-ragging activity, believes that it is a crime, and is unlawful. The college also provides a hostel with homely and healthy food arrangement for the students. The hostel is a happy home away from the home.